Imagine opening a Christmas gift that’s composed of twirling gears built with Victorian craftsmanship. Maybe the gift comes to life, waddling around the floor on mechanical legs. Or perhaps the object is more aesthetic, a mere bauble to amuse and delight its owner. This is the fantasy evoked by steampunk. A what if scenario where technology meets turn of the century charm. Although we’ve recently crossed our own centennial border, the lure of nineteenth century steampunk is with us even more. 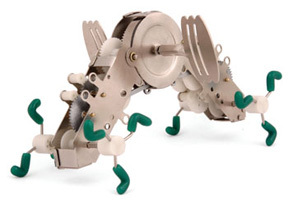 Okay, so you can’t actually have a mechanical creature powered by steam scrabbling around on your living room carpet. But you can come close. 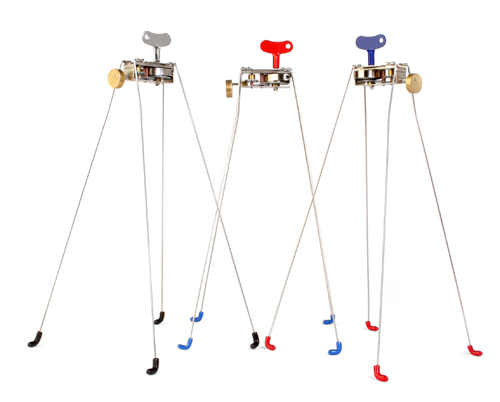 Kikkerland designs all sorts of wind up toys for the mechanical aficionado. These are far removed from those tin wind up replicas coming out of China these days. Kikkerland wind ups wobble, jiggle, and crawl. They really do seem to have a life of their own. Most of these toys are the brainchild of Chico Bicalho, a designer from Rio de Janeiro. The first wind up I experienced was Critter, sometime in the early nineties. The design firm I worked for was going to help with the promotion of these toys, and we all got a sample Critter. It wobbles and walks like a man with a severe case of hiccups. Very fun. The next wind up I purchased only a few years ago was called Le Pinch. This operated like metal inch worm. It has seemingly thousands of tiny plastic gears to give it that pinch movement. It crawls all over my desk. 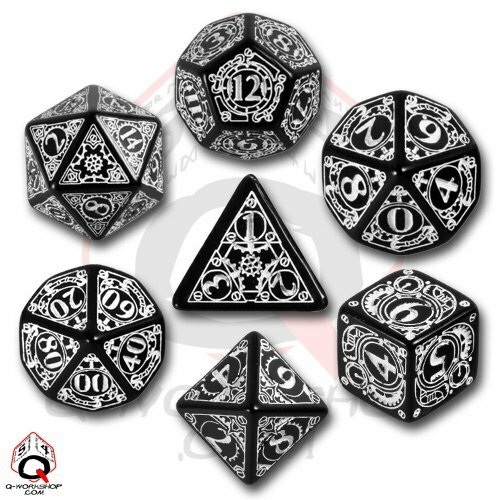 For the gammer, you might check out this set of steampunk dice. Although, I think trying to read these number in low light might produce eye strain. 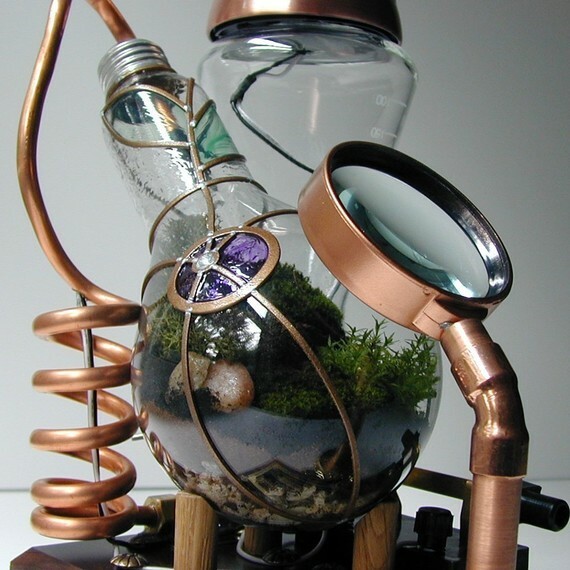 Your best bet on finding steampunk items is on etsy, like this steampunk inspired terrarium called Professor Alexander’s Botanical Vasculum. My wife picked up one of these for me last year and the foliage is still alive. The magnifying class allows close viewing for aspiring botanists. There’s also a solar powered light that you swap out the cover to get purple, green, or red glows. The plants do well out of direct sunlight and need only a drop of water every month or so. Finally, if you want to experience steampunk firsthand, then why not visit the Gaslight Gathering in San Diego this spring (May 6th – 8th). 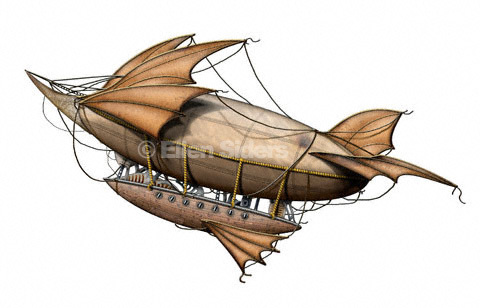 The Gathering is a steampunk convention disguised as a ride on a dirigible: The ZRA Gaslight. Attendees can purchase tickets as either first class, second class or steerage passengers. This is the first year of this convention, and I’m excited to discover what they’re all about. Check out the Gathering here. Merry shopping this Christmas season. And please remember to oil your gift so that the gears continue to mesh tightly.